FAAM aims to be open and accessible to the public and media. It’s possible to arrange media visits to our facility, and in some cases, to see the aircraft on deployment. FAAM aims to respond to all media enquiries about our facilities and campaigns, and all interview requests. Publicity about specific campaigns or science programmes will need to be arranged in cooperation with the principal investigators. You can contact the FAAM communications team at faamcommunications@ncas.ac.uk. 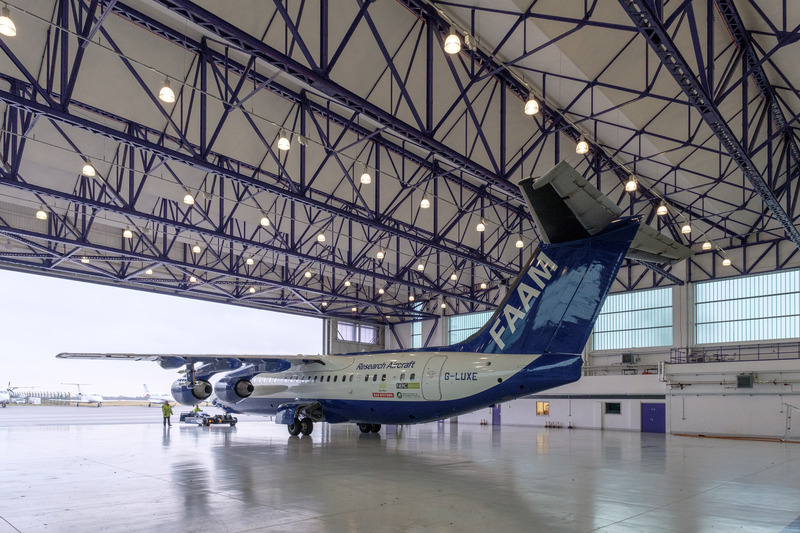 To join a FAAM flight, we will require a written proposal indicating the purpose of your media visit, and where coverage and footage of the flight may appear. Using this information, FAAM can suggest a suitable flight for you to join. Any members of crew who wish to fly on the FAAM aircraft will need to complete an application for an Airtask pass. This must be completed three days before the flight. With modern weather forecasting, FAAM can normally plan flights two days in advance. Firm plans are made by midday the day before the flight, and you will be contacted accordingly. You will need to arrive by 8am on the day of the flight, unless specifically asked to arrive earlier. Please bring your passport as proof of identification. Flight briefings take place two hours before take-off and you will be expected to attend. This covers the science aims of the mission, flight operations, and safety information. Lunch and water will be provided on the aircraft for all passengers. If you have dietary needs, please let us know in advance. We can usually accommodate the majority of in-flight camera recording although there are no internal camera mounts. Filming onboard during take-off and landing is not permitted.